. : Fast and Female Partners with the Canadian Ski Marathon :: Ski XCOttawa.ca :: Skiing in Ottawa and Gatineau Park :. MONTEBELLO, QC, Jan. 17, 2013 /CNW/ - Fast and Female is inviting female cross country ski enthusiasts ages 7 to 19 to attend an afternoon activity of inspiration on February 9 led by 2010 Olympian Madeleine Williams as part of the Canadian Ski Marathon. Williams, an accomplished cross country skier and runner as well as a current Law student at McGill university will join the girls for an inspirational presentation followed by a personal development exercise on attitude as well as fun dance and yoga sessions. The event will take place at Château Montebello - one of the largest log-built hotels in the world - from 3:30 pm to 5:30 pm. "I'm very excited to be leading the Fast and Female event at the Canadian Ski Marathon because this event is one of our country's premiere ski events," said Williams. "This is a great opportunity to reach an audience of racers and recreational skiers alike. Inspiring girls to stay in sport is important to me because sport teaches so many vital life lessons and encourages lifelong health," concluded the retired World Cup cross country racer who still competes in cross country running. As a two-day event, the CSM features 160 kilometre of skiing divided into 5 sections each day, with an average of 16 km per section. Skiers of all ages and abilities are welcome to participate and can do so safely. There are checkpoints at the end of each section providing food, first, aid an other services, as well as shuttle buses that run between accommodation and checkpoints throughout each day. The CSM alternates its direction each year, from East to West one year and then West to East the next - between Gatineau and Lachute. Unlike most ski events, there are no winners or losers in the Canadian Ski Marathon. Each skier can select his/her own level of challenge and try to achieve it. One can ski as little as 12 km or up to the maximum of 160 km over the weekend. "Chandra Crawford, Madeleine Williams and the Fast and Female team have brought an inspiring energy to the 2013 Canadian Ski Marathon," said Bill Syrros, CSM President "We recognize and respect the level of empowerment and encouragement they're offering to CSM youth; to ski and to be the best that they can be." 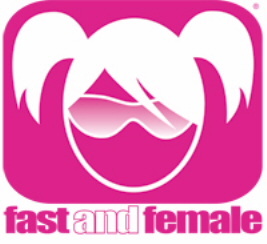 Fast and Female is a non-profit organization launched in seven years ago by Chandra Crawford - 2006 Olympic gold medalist and honorary president for this year's edition of the Canadian Ski Marathon. The organization's mission is to support, encourage and motivate girls to stay in sports. It is believed that girls are six times more likely to drop out of sports than boys by the time they reach 14 years old. "I'm super pumped that we are able to bring the Fast and Female message of joy for sport to the girls taking part in the Canadian Ski Marathon," said Crawford who is in Europe for the remainder of the World Cup season. "The CSM is a tremendous event for participants of all ages and abilities to push their limits in a fun and supportive environment. This is extremely in line with Fast and Female's values of inspiring all girls to follow their passions for sport and continuously challenge themselves to improve as athletes and as human beings. I'm sure all the girls attending the Fast and Female activity will learn a lot from Madeleine's presence and her lessons on perseverance and determination." The February 9 Fast and Female activity in Montebello is open to female youth Canadian Ski Marathon participants as well as non participants from the area. The cost for the events is $25 for youth and includes a Fast & Female t-shirt, a healthy snack, a magazine subscription (Pedal or SkiTrax) and an autographed poster. Online registration is open until February 8 at lunch time at http://fffeb9montebello.eventbrite.com or at www.fastandfemale.com. As a complement to the event, Fast and Female and the Canadian Ski Marathon are also partnering to run a Marathon Girl Contest. As part of the contest, girls ages 7 to 19 registered in the Canadian Ski Marathon are invited to submit a short paragraph on what makes them exemplary Fast and Female Marathon Girls. Ten young women will be selected as part of this contest and will be rewarded with a free Fast and Female Buff. Entries in the contest can be sent to info@fastandfemale.com. Sponsor News: Are You Game? - PODIUMWEAR Kicks Off a “SUMMER OF CONTESTS” Campaign to Celebrate Their 2011 Cycling Line. Photos and Videos: Race Photography at the Eastern Canadian Nordic Ski Championships!